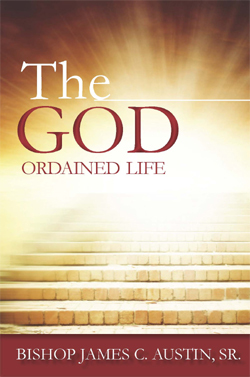 The God-Ordained Life is a God-sent manual for succeeding in the Christian life. It is a guideline of how to live a Christ-centered life. It offers encouragement, hope and promise for all seeking to live lives pleasing to God. It is a book for those who are lost, confused, indecisive, and un-churched, and for those who are pondering their purpose in life. For all of us, it serves as a turning point toward the right direction to obtain a fulfilled life and to love and serve the Lord Jesus Christ. This book will help you to live your life effectively, develop a prayerful life, and develop a lifestyle that will not define you based on who you once were. It will help you to help others that you meet along life’s journey and to do it to the glory of God. The God-Ordained Life truly offers the reader an understanding of the power of God if only they believe. It is a spiritual guide to living in the will of God. It contains biblical stories that tell and characters that show how to go through difficult times in committing to the command of God. It also gives advice for keeping your body (the temple of God) healthy and strong. Anyone who desires a better understanding of what the Lord desires for His people will enjoy the contents of this book. This book will help you to grow and develop in your awareness of who God is, and will assist you in having a real purpose in your faith walk through life. Bishop James Curtis Austin, Sr. graduated in 1967 from the University of Illinois with a Bachelor of Science Degree. He is the Senior Pastor of St. Luke Church of God in Christ, of Chicago Illinois. In 2004 he was consecrated to the sacred office of Bishop of 5th Illinois Jurisdiction-East. He is husband to Missionary Vernesta T. Austin. Together, they are the proud parents of James, Jr, Dorcas, Prisca, and Marcus.